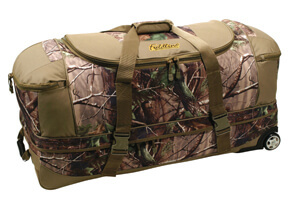 Hunters can easily haul it all on outdoor adventures with the new Fieldline Field Haul Rolling Duffel. It s made with heavy-duty 600-denier construction that holds up no matter how you stuff it. The Field Haul is made for hard use and harsh elements. The big U-shaped top opening makes it easy to load and access your gear, and two big side pockets are perfect for smaller stuff like your GPS, keys, cell phone, and protein bars. Heavy-duty storm zippers and snap-clip straps keep your stuff secure and dry even in the wettest weather. There s a Rip-Grip wrap handle up top so it s easy to pick up and carry even when you ve got it packed, and the best part is the two small wheels that let you roll it along behind you wherever you go. It comes in Realtree All-Purpose Green and it s plenty big, measuring 35 x 13.5 x 16 inches. 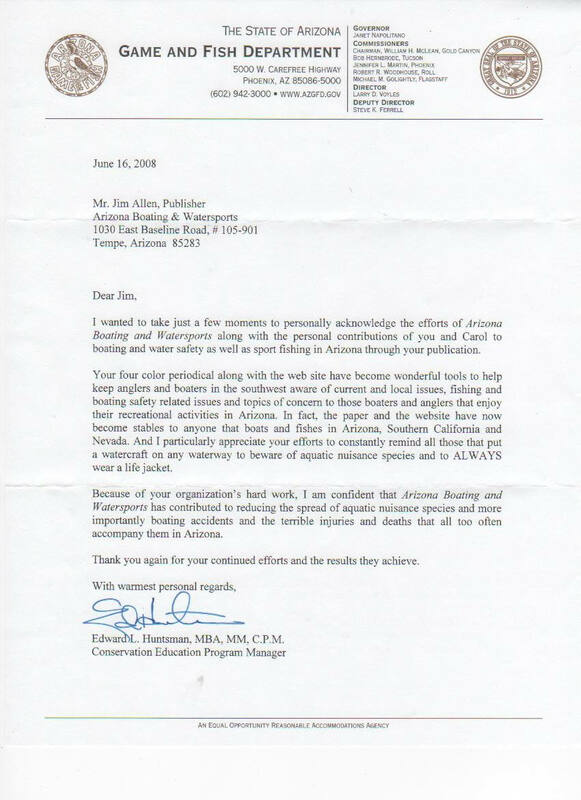 As all the great Fieldline products, it comes with a lifetime warranty against defects in material and workmanship. Check out all the Fieldline gear at www.fieldline.com or local dealers. I know it s a little early to start thinking about fall and winter hunting season again, but it will be here before you know it, and it pays to be prepared. If you spend a lot of time calling turkeys, glassing for Coues, or even sitting in a blind trying for that perfect photo, you know how cold you can get when you re just sitting still. A lot of hunting jackets are made for men, which means that the shoulders are way too big, and the sleeves are usually much too long for us ladies. And, if your clothes don t fit, they can interfere with mounting your gun or even get you tangled up in brush. 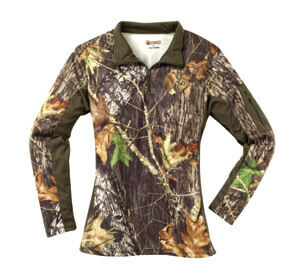 Prois Hunting Apparel has a new high-performance Pro-Edition Pullover that is just perfect for any outdoorswoman. It s made with Prois three-ply Pro-Edition fabric with a soft tricot exterior, bonded wind-stopping laminate and cozy microfleece for high-performance comfort. Every now and then a girl just has to move a little to keep the circulation going, and this pullover won t rattle and crackle and give your position away. As all of Pr is innovative apparel, the Pr is Pro-Edition Pullover is designed by and for serious female hunters, with a wide range of unique features tailored accordingly. Its complex, compressed fabric eliminates bulk while enhancing thermoregulation, yet is built with plenty of room for layering. Plus, this carefully crafted pullover features Pr is exclusive scapular drop pocket across the shoulder blades, housing activated hand warmers, to ease those long, chilly hours in a blind or leaning against a stump waiting for the perfect tom. The Pr is Pro-Edition Pullover is available in Realtree AP HD and Advantage Max-1 HD to keep you concealed while providing warmth and ease of movement. There are even built-in thumbholes in the cuffs. It s warm enough to keep off the chill of even the longest day in the field, but with a low enough profile to pack easily into a waist or daypack when the weather or the hunt heats up. The ingenious design even boasts a deep lumbar compartment across the lower back to hold soft goods or other accessories. The Pr is Pro-Edition Pullover comes in a wide range of sizes from XS through XL, to provide a perfect fit for hunters of any size, and gives a much-needed edge in any environment. And, like all Pr is gear, it s proudly manufactured in the U.S.A.
For more information about the Pr is Pro-Edition Pullover or any of Pr is innovative line of serious, high performance huntwear for real women, contact: Pr is Hunting Apparel, 28001-B US Highway 50, Gunnison, CO 81230 (970) 641-3355 Or visit www.proishunting.com. If you use a radio collar on your hunting dog, you know what a hassle it can be to keep the transmitter handy without worrying about dropping or losing it. Those pockets in your hunting vest are dandy, but if you re going over a barbed wire fence in hot pursuit of a quail, it s easy for the transmitter to slip out unnoticed, never to be seen again. The solution is the new Gear Keeper Dog Training Transmitter Retractor. 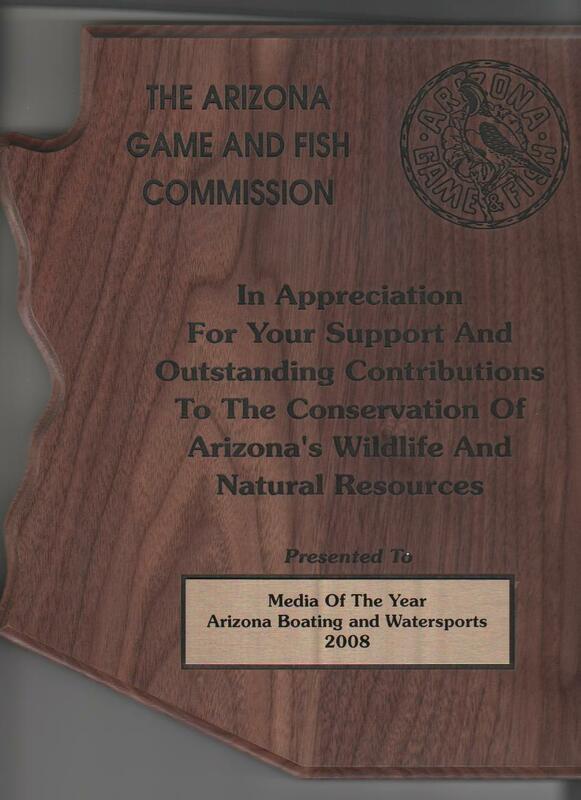 These are the same guys who make those awesome tool retractors for fly-fishermen, so they have plenty of experience. The Transmitter Retractor is compact, but the built in spring-loaded cable gives you up to 30 inches of extension and nine ounces of retraction force. It comes with three innovative mounting options in one system: the Snap-Clip Mount, to attach to any D-ring, belt-loop, or zipper-pull, the Velcro Strap Mount, to securely wrap and cinch around any loop, belt or strap, and the Threaded Stud Mount, which easily penetrates tough fabric or webbing. Plus, this new system is saltwater proof and self-flushing, so it will be a tough and loyal companion to you and your dog in the field for many seasons to come. For more information about the Gear Keeper Dog Training Transmitter Retractor, or the many other unique products in the Gear Keeper line, contact: Hammerhead Industries, Inc., 1501 Goodyear Avenue, Dept. P, Ventura, CA 93003 Telephone: (805) 658-9922 Fax: (805) 658-8833 Or visit www.gearkeeper.com. The BigFoot Gear Bag is the answer to your gear-clutter problems, especially when you re packing up for a hunting or fishing trip. You can use the multi-purpose Gear Bag to store your stuff, to transport your gear, or to simply keep your equipment together during a day-long or week-long trip. Your gear can be neatly tucked away in your vehicle or in your boat, or you can hang the bag in your garage or storage facility when not in use. Best of all, the bag opens flat for easy loading and can also work as a ground cloth or a tarp. With this multi-functionality, the BigFoot Gear Bag stands out as a simple, cost-effective solution for managing the equipment and clutter that plagues every outdoors enthusiast. Made of 600x600 denier polyester, for all-around usage, this durable green bag will protect your gear from all that Mother Nature can dish out, including sun, wind and water. The feature-rich design also includes a variety of padded carrying handles; FootZipTabs for fast, easy closing; heavy-duty cinch straps; a water-repelling zipper seal and various tie-down and storage options. Starting at just $49.95, the BigFoot Gear Bag works great for pickups, SUVs, ATVs, cabins, roof racks, garages...anywhere your stuff needs transport, protection and storage. Since the bag also acts as a tarp and a ground cloth, its use is only limited by your imagination. In addition to the Gear Bag, the BigFoot line of bags also includes the BigFoot Cargo Bag, in reinforced vinyl, for heavy-duty, weather-resistant applications; the BigFoot Camo Bag, in 600x600 denier polyester with Realtree Hardwoods HD , for hunting applications; and the BigFoot Yard Bag, in woven UV treated polypropylene with PE laminate, for yard maintenance needs. All bag designs are available in small, medium and large sizes. For more information on the BigFoot Bag, check with local dealers or call toll free (877) 883-0200, or check out www.bigfootbag.com.